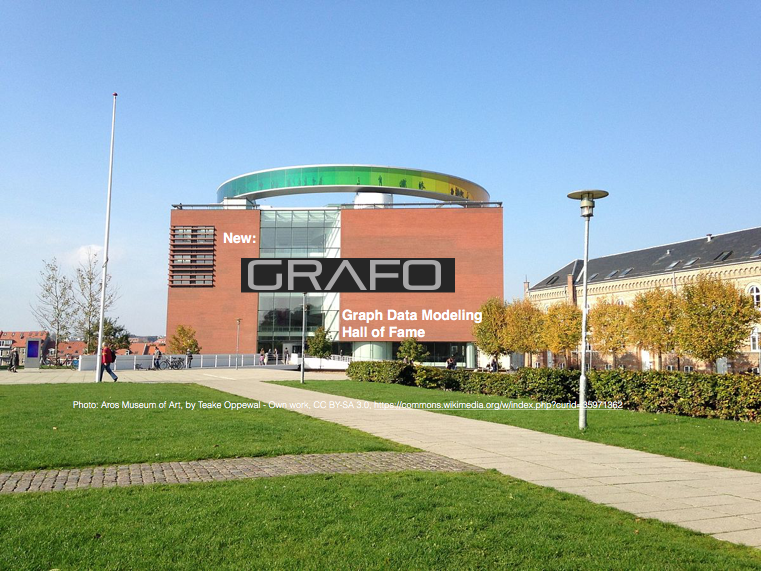 Here be the Hall of Fame of Vendors, who use Graph Data Modeling in their Products, Today! 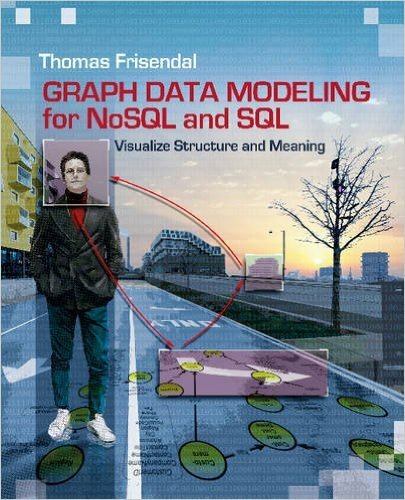 This Hall of Fame is for those exquisite tools, which use Graph Data Modeling in a visual manner to express the structure and meaning of a data model. To qualify for a place in the Hall of Fame, a product should use visual, interactive, graph representation of a data model. The framing of the context is the property graph model as defined here, but plain directed graphs or hybrids are also welcome. If you know about a product, which should be listed here, please notify info@graphdatamodeling.com. Thank you! Architector's homepage can be found here. The company was founded in the UK. In Cambridge Semantics Anzo Smart data lake offfering in-Memory Knowledge Graphs is embedded. Under the name AnzoGraph it offers context and meaning at unprecedented scale. 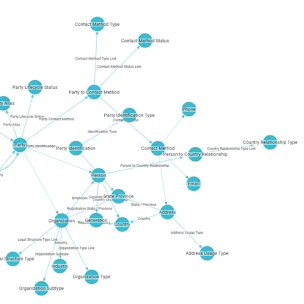 Cambridge Semantics leads the market in connected data analytics on Enterprise Knowledge Graphs. Our breakthrough AnzoGraph™ is the most advanced of its kind – performing complex ad-hoc, OLAP interactive and batch queries at connected data scales and performance levels that our competition simply cannot match. 2018 - The Year of the Graph! Cambridge Semantics' homepage can be found here. The company was founded in the US. DataGalaxy is a French provider of a data modeling / catalog / business vocabulary solution. It is designed for self-service and collaboration. It is designed for agile environments and also contains a flow designer, a search engine and visual analysis (of e.g. lineage) using graph representations. DataGalaxy's homepage is in French only and can be found here. The company was founded in France. 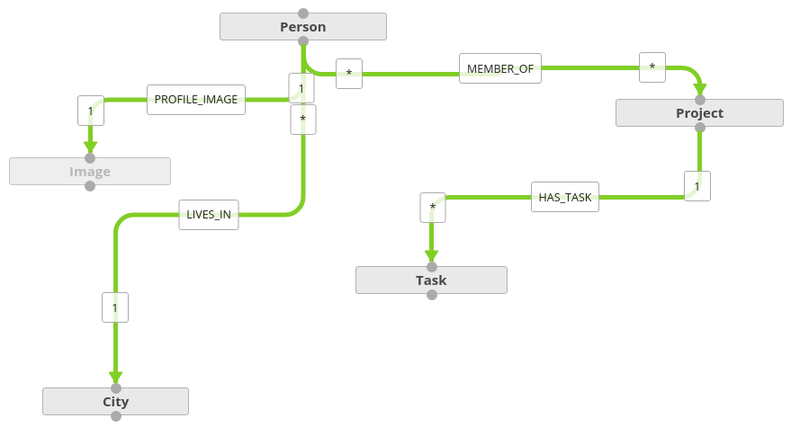 Visual representations of your schema objects help you understand your models and build them quicker. Navigating and managing complex database schemas can be difficult. 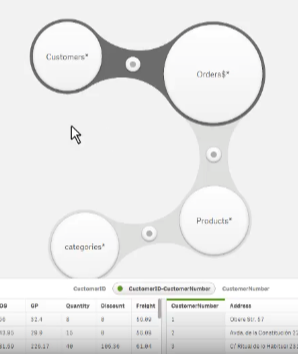 To help you easily identify design or model bottlenecks, optimize queries and save time, DataStax Studio also allows you to interact with multiple clusters. DataStax's homepage can be found here. The company was founded in the US. 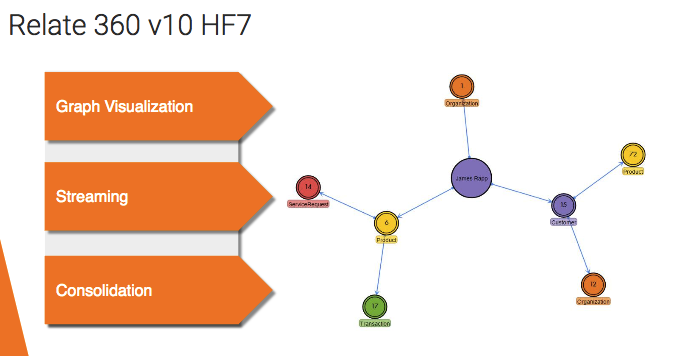 The FactGem Data Fabric connects data from platforms and applications, separated by purpose, geography, or organization, into a unified, service-enabled, graph endpoint. 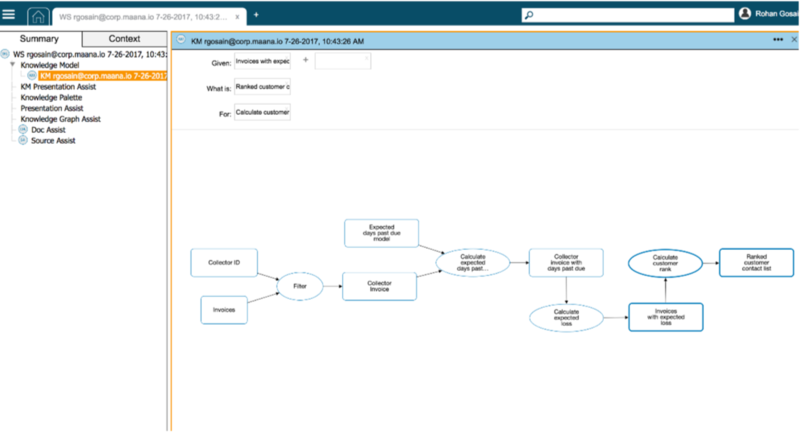 Stored as a cohesive and visual model, data can be expressed as the entities, relationships, transactions, and events that tie them together, providing for easy reporting and querying across the enterprise. Relationships become first-class citizens in the FactGem Data Fabric. They aren’t just an index or a way to link disparate entities together. They can be queried directly. FactGem's homepage is here. The company was founded in the US. We help businesses to take a model-driven approach to tackle the complexity of information modeling and data integration in relational, data warehouse and NoSQL data environments. With our platform, the enterprise business information model is defined in an easily understood, controlled natural language. From the business information model, the platform can generate well-structured data schemas in a number of forms, transformation code between these forms, and associated artefacts such as business glossaries and data dictionaries. Factil comes out of the strong, Australian, fact based modeling community. The Factil platform contains different kinds of representations, also including data vault capabilities. 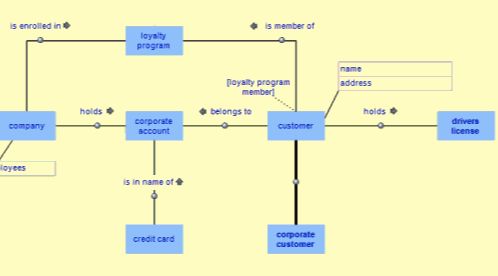 What is shown here is the business level ORM (Object Role Model) diagram style, which has been around for quite some years, and which I admit do have some strong points. My primary disagreement lies in the area of simplicity and intuitiveness (which is hindered by the visual syntax elements). I do recommend approaches like this very complex tasks like for example complex public service systems or systems designed to take equipment to Mars (or other places where failure is not an option). Factil's homepage is here. The company was founded in in Australia. 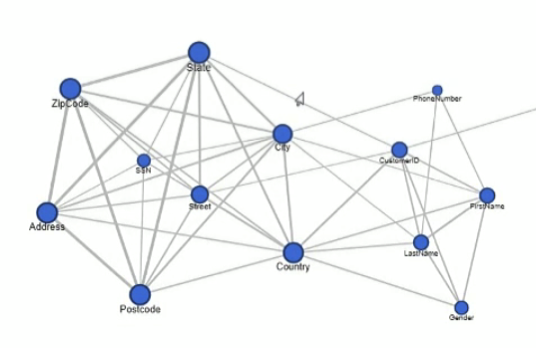 Grafo lets you design knowledge graphs the same way you present them: visually. It should be easy to design a knowledge graph, but existing products - while powerful - are frequently difficult to use. We've designed a system from the ground up for ease of use, while ensuring that it remains robust enough to develop incredibly complex data models. 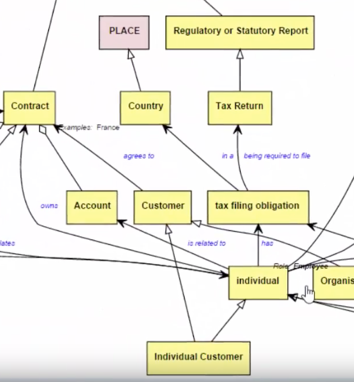 Everything you need to create, manage, and evolve your Knowledge Graphs: RDF & Property Graph. Invite your team to edit your documents with you in real-time. Participate in threaded comments at the object level. Every change is tracked. View and revert to old versions effortlessly. Import and Export both OWL and TTL documents. More formats coming soon. Quickly search and find concepts, attributes and relationships in your document. Commercial solutions hosted in world class cloud infrastructure. Performant, secure and reliable. Graph's homepage is here. The company behind Grafo is Capsenta and it is a US company. One of the use cases is user-friendly and controlled data-management! Using a Schemabuilder and a Databuilder to control the categories of users that are allowed to add new attributes to nodes and relationships, while providing other users with access to forms to enter data. 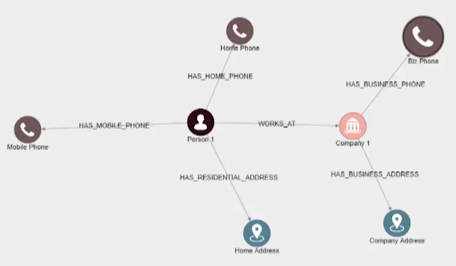 One of the advantages of property graphs like Neo4j, in which both nodes and relationships can have properties, is their versatility and freedom with regard to create and update models. However, this freedom comes with responsibility. Sometimes you may want to control the categories of users that are allowed to add new attributes to nodes and relationships, while you want to provide other users access to forms to enter data. In the Schemabuilder (above), nodetypes and relationtypes are created, then linked to attributes with different datatypes (string, integer etc). 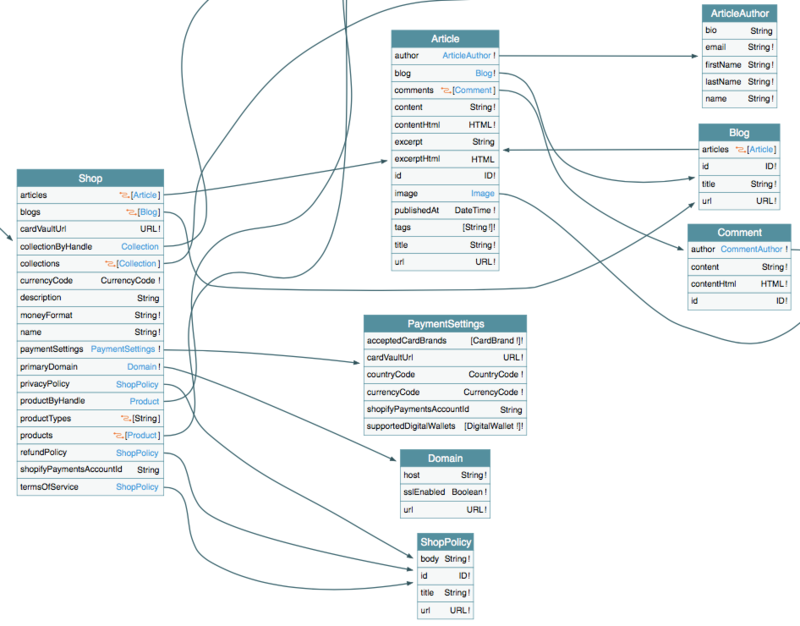 Graphileon takes care of storing the schema, if needed in a separate graph store. Both nodetypes and relationtypes can inherit attributes. When selecting two nodes, the Databuilder displays the relations (cf. above) that are allowed according to what is defined in the schema. 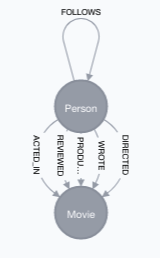 For a :Person nodetype, with attributes of different types, the schema could look like the graph data model above. 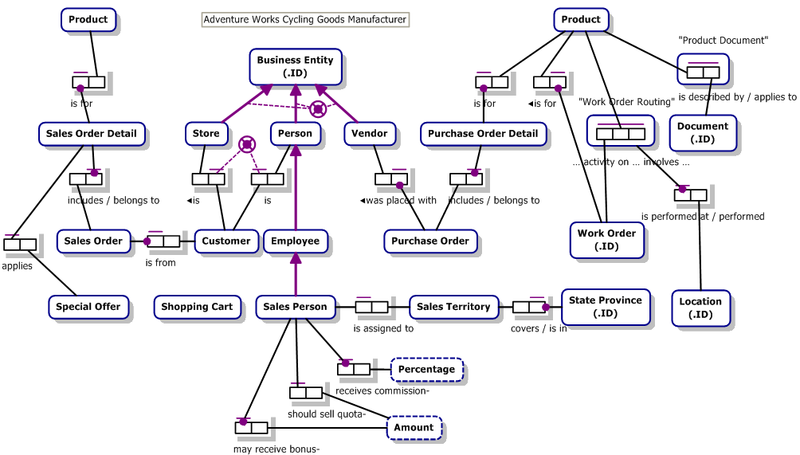 These optional components of Graphileon are real data modeling tools for Neo4j property graph database design. Read more about them here. Graphileon is based in the Netherlands. Their homepage is found here. Represent any GraphQL API as an interactive graph. It's time to finally see the graph behind GraphQL. You can also explore number of public GraphQL APIs from our list. GraphQL Voyager is based on one of the earlier ERD diagramming libraries, as you can see. GraphQL Voyager is open source (MIT license) based on Github here. The company behind is apis.guru, based in Ukraine. The project was inspired by GraphQL Visualizer , developed by Nathan Smith, based in the US. A rather similar project is GraphQL Rover, which is based on Dagre-D3 and Vue.js. GraphQL Rover is developed by Francesco De Lisi, based in Thailand. 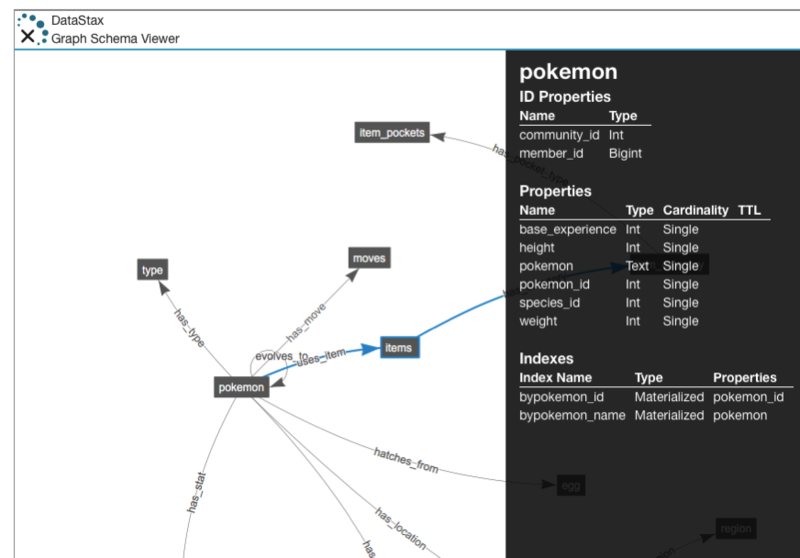 Hackolade offers agile visual data modeling for JSON, NoSQL, and multimodel databases , and it now supports Neo4j graph data models as well. 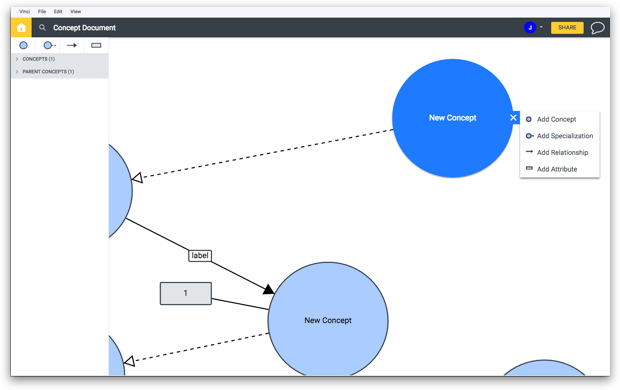 It was specifically built to support the data modeling of Neo4j node labels and relationship types. The application closely follows the terminology of the database. 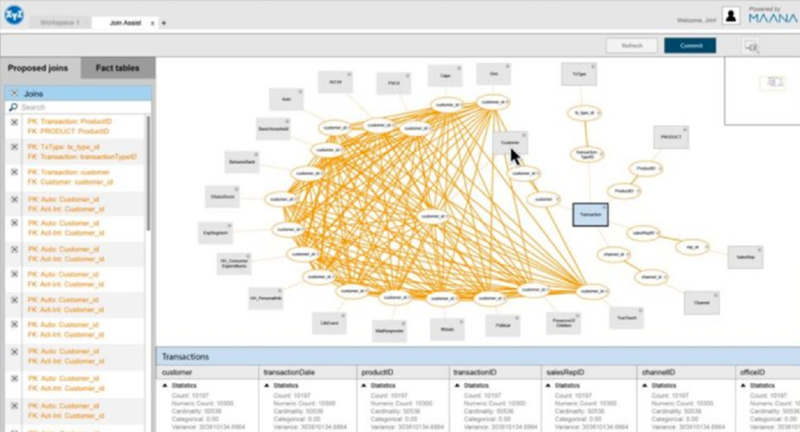 To be clear, Hackolade is not a graph visualization tool, but a tool for data modeling of Neo4j graph databases. 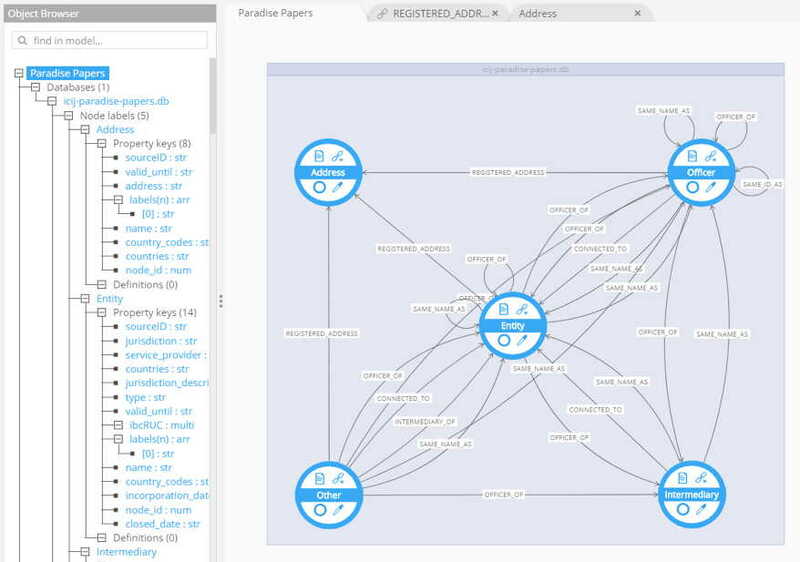 The new Neo4j graph data modeling interface looks very nice and it offers comprehensive coverage of the graph data modeling features of graph databases in Neo4j. Nice job! Looking forward to having a closer look! Hackolade is a product of IntegrIT SA/NV, and its' homepage is found here. The company is based in Belgium. Informatica offers a range of solutions for Master Data Management, Data Governance, Data Discovery and more. One of the offerings is Enterprise Information Catalog: A machine-learning-based data catalog lets you classify and organize data assets across cloud, on-premises, and big data. The graph snippet above is from Informatics's Enterprise Information Catalog and shows the graph support in the Domain Management part. 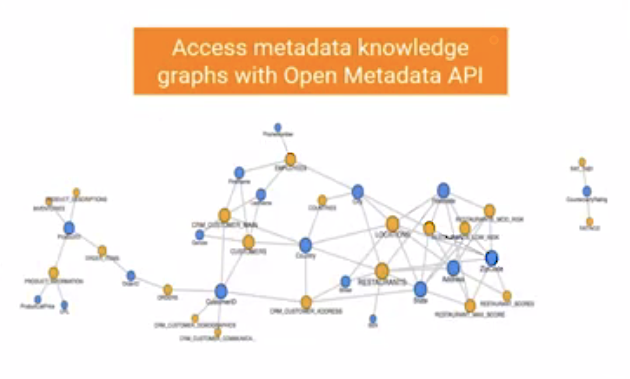 The graph above illustrates that there is an open metadata API to the information catalog. 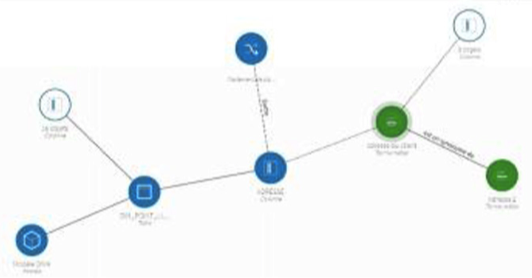 And the graph below is from Relate 360, a Big Data approach to MDM designed to discover and infer non-obvious relationships in big data, visualize households relationships, customer groups, and social networks and to connect master data to transaction, interaction and Internet of Things data. Graph technology is applied in more and more of Informatica's offerings, and the trend is growing. Informatics's homepage is here. The company was founded in the US. Maana's vision is to encode the world’s industrial expertise and data into new digital knowledge for millions of experts to make better and faster decisions. With that vision Maana has pioneered the Maana Knowledge Platform™, a knowledge-centric technology that has been developed over the past 4 years, while solving the most complex operational challenges of Global Fortune 500 industrial companies. The Maana Knowledge Platform turns human expertise and data into digital knowledge for employees to make better and faster decisions. The "secret sauce" is the patented Knowledge Graph™ — the invention at the core of the platform that combined with Maana’s algorithms, expedite extracting knowledge from data silos and information sources, to reveal their relationships in the context of optimizing assets and processes. JoinAssist guides users in finding non-obvious relations, even when the user does not fully understand their data relationships. Often, users have a good understanding of the available data, but the effort to manually connect it all to create large data models is difficult and time consuming. Maana’s user-guided, machine-assisted mechanism provides a visual interface to automatically build the relevant joins – and with little manual intervention. KnowledgeModelAssist: Visually build knowledge models – the fundamental building blocks for Knowledge Applications – from pertinent “problem” questions such as, “Given a vessel, omitted port, and date, what are the set of alternative port options ranked by score?” With KnowledgeModelAssist, you can search concepts, bring them into the workspace, define relationships between them and apply appropriate functions in order to digitize your subject-matter expertise. Graph visualization is applied all over the Maana platform. Manaa's homepage is here. The company was founded in the US. 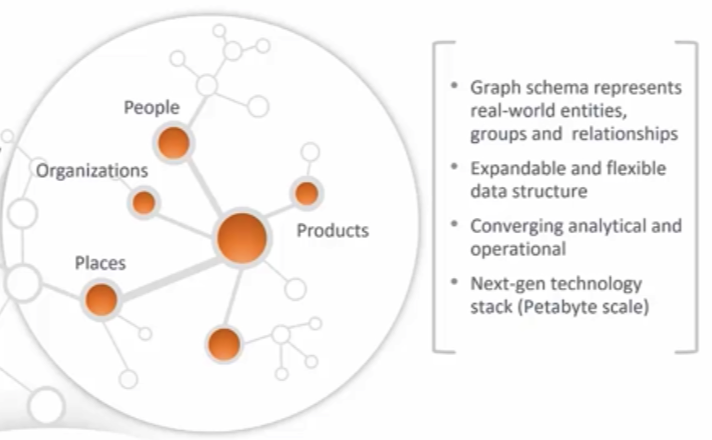 Neo4j is the leading graph data platform. Although it does not require a schema or a declared data model, it does have a function called "db.schema()". It will analyze the data and infer the schema from the data. 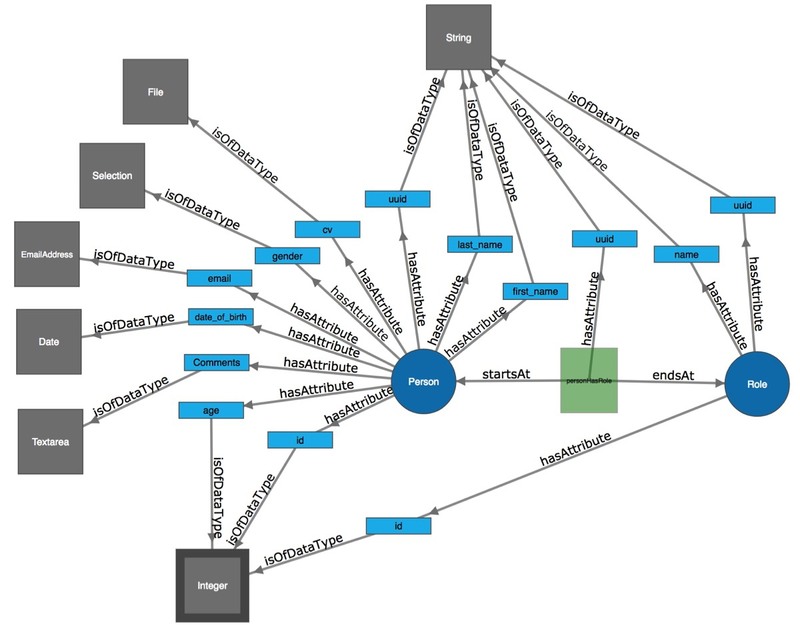 Neo4j (and other graph databases) are actually great for building metadata repositories. To the right you see the inferred schema of the IMDB movie database. It is displayed in the standard, built-in graph data browser, which is part of the platform. Neo4j's homepage is here. The company was founded in Sweden, so it is a "New Nordic" software company! "Qlik® delivers intuitive platform solutions for self-service data visualization, guided analytics applications, embedded analytics and reporting to approximately 45,000 customers worldwide". As you can see in the picture on the right, it is a true graph representation of a data model. A very elegant and intuitive tool! Qlik's homepage is here. The company was founded in Sweden, so it is a "New Nordic" software company! Reltio’s mission is to bring the power of self-learning to every business, so they can Be Right Faster. Reltio Cloud delivers enterprise data-driven applications powered by a modern data management Platform as a Service (PaaS), guiding customers to take the right actions, based on the right insights, to achieve the right results. Reltio was founded on a single premise: Companies who learn faster grow faster. The founder set out to build Reltio with a vision to create a simple way for companies to become continuously organize their data, through a Self-Learning Data Platform that uses data for recommended actions, and then measures results to learn, and improve business outcomes. See more in this article on Forbes Magazine. RuleArts was conceived in November 2004 out of a strong belief that technology-independent business rules should be owned by the business. The business should be supported by tools that allow them to verify and validate the rules on completeness and consistency. The development of RuleXpress to fulfill these needs began shortly thereafter. It became the first true Business Rule Management tool for Business People. and runtime workbench for data-centric web and mobile applications. It is an open source project with a commercial option as well. It includes a Schema & visual data modeling tool, which can create types for objects and relations between them, manage attributes, views and data types and define schema methods for advanced behaviour. Structure's homepage is here. The company was founded in Germany. Unifi was founded to satisfy a frustrating industry need. 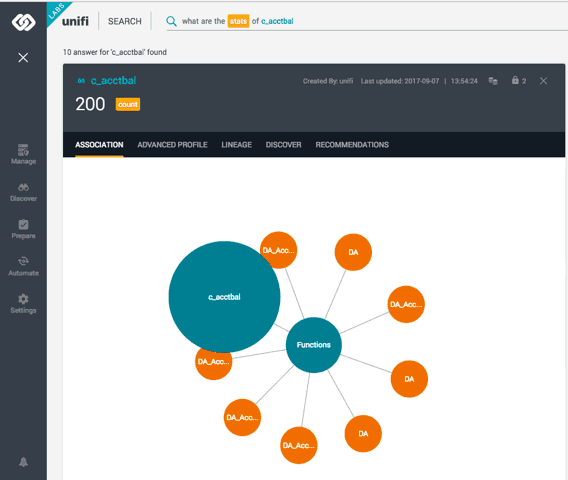 Graphically represented by JanusGraph embedded into the Unifi Data Catalog UI, a user can easily determine how datasets and even attributes are related. Understanding where data comes from, the provenance, and lineage are essential to determining data validity. Unifi's homepage is here. The company was founded in the US.